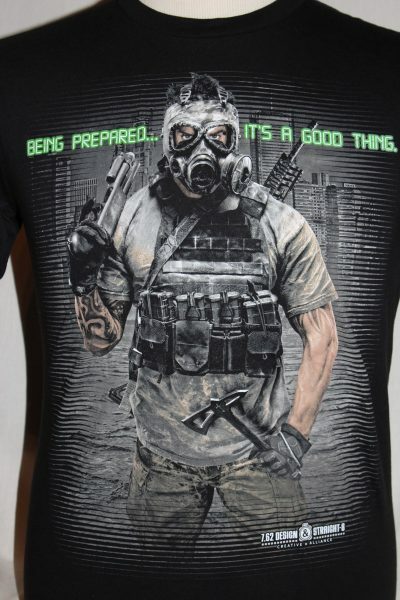 The Being Prepared Is A Good Thing T-Shirt is a Straight-8 Series two sided print in black. 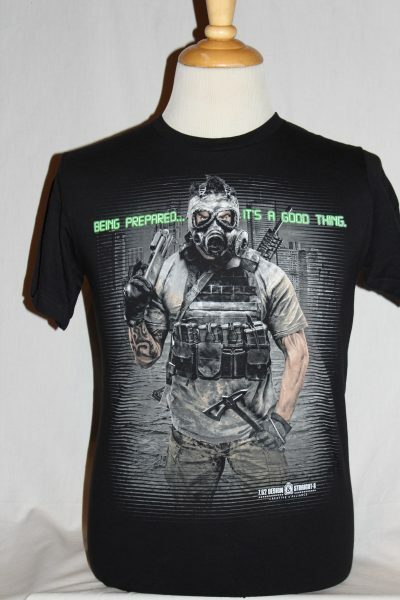 Front Design: A heavily armed urban warrior in gas mask, with large city in the back ground. Back Design: 7.62 Straight-8 logo in white.